Below you will find we have summarized important North Dakota Landlord Tenant Laws. These landlord tenant laws are derived from North Dakota’s official state statutes. AAOA has provided the appropriate links for the referenced laws and regulations. We strongly recommend you conduct your own independent research so you are compliant with any North Dakota laws. Stay up to date on North Dakota Landlord Tenant Laws + Save money on tenant screening and other property management needs. Join AAOA today, it’s FREE! Maximum Security Deposit: Yes. A landlord is permitted to charge a tenant the equivalent of one month’s rent. Should the tenant own a pet, the security deposit may not exceed the greater of $2,500 or the amount equal to two months’ rent. NDCC § 47-16-07.1. Return of Security Deposit: A landlord is required to return the tenant’s security deposit within 30 days after the tenant has relinquished control of the rental unit to the landlord. This occurs when the tenant returns all keys and has vacated the premises. NDCC § 47-16-07.1. Interest on Security Deposit: Yes. A landlord is required to pay interest on a tenant’s security deposit if the tenant’s period of occupancy is at least nine months. The landlord must pay the accumulated interest to the tenant at the end of the lease agreement. NDCC § 47-16-07.1. Landlord’s Rights: A landlord is permitted to use the security deposit to repair any damages the tenant or the tenant’s guests may have caused to the rental property, to pay the reasonable costs of cleaning the rental property after the tenant vacates the unit, or for any unpaid rent. A landlord is not permitted to withhold security deposit money for normal wear and tear to the rental property. NDCC § 47-16-07.1. Additional Requirements: Not at the state level. But, we recommend that you check your local municipality for any further laws and regulations concerning security deposits. Lease Provisions: No state statute. However, it is generally accepted that leases must use words with common and everyday meanings and must be clear and coherent. Late Fees: No state statute. We note, however, that rent is legally due on the date which is specified in your lease agreement. In the event the tenant fails to timely pay the rent, the landlord is permitted to charge late fees. There is a caveat, in that the landlord may not impose a late fee if the lease agreement does not contain a clause concerning late fees. Increase in Rent: A landlord must give a tenant at least 30 day’s written notice to increase the rental amount or change any other terms in a month to month lease agreement. For long term leases, a landlord may not increase the rental amount until the lease agreement has ended and a new tenancy begins (unless, of course, the lease agreement itself has a clause concerning a rental increase.) NDCC § 47-16-07. Retaliation or Discrimination: In the United States, a landlord is not permitted to increase rent in a discriminatory manner, i.e. race, gender, religion, etc. Landlords are also not permitted to increase rent in retaliation against a tenant if a tenant has exercised a legal right, such as filing a legitimate complaint to a local housing authority concerning their tenancy. Required Disclosures: Move-in checklist required. A landlord must give the tenant a statement describing the condition of the premises at the time of the tenant’s execution of the lease agreement. Both the landlord and the tenant are required to sign the statement. NDCC § 47-16-07.2. Additional Disclosures: We recommend that you review your local municipality’s rules and regulations concerning required notices, especially if your rental property is covered by rent control. Basic Rights: All tenants in North Dakota are legally entitled to a unit that meets basic health, structural, and safety standards, and that is in good repair. Landlord’s Responsibilities: A landlord must keep the rental unit in reasonable repair and fit for human habitation, including the maintenance of all electrical, plumbing and heating systems. A warranty of habitability cannot be waived or modified by the parties to the lease agreement. Tenant’s Remedies: A tenant is obligated to promptly notify the landlord when repairs are needed. The landlord must be given a reasonable amount of time to complete the repair. If the landlord fails to make the repair, the tenant can perform the repair and deduct the expense from the rent. NDCC § 47-16-13. Notice: The tenant should always provide the landlord with written notice concerning the tenant’s intention of making the repairs themselves. NDCC § 47-16-13. Other Remedies: A tenant is also permitted to sue the landlord for repairs and other expenses in Small Claims Court. Lastly, the tenant is permitted to terminate the lease and vacate the premises (this option should only be exercised if there exists grave repair problems or serious code violations.) NDCC § 47-16-07.2. * In addition to the North Dakota state laws and regulations, we recommend that you contact your local municipality to discuss any and all local housing rules and regulations concerning tenant’s rights when it comes to repairs. A key component of landlord tenant laws is also North Dakota Tenant Screening Background Checks. We’ve dedicated an entire page to it because of its importance. Visit North Dakota Tenant Screening Background Checks to screen your tenant. Unconditional Quit Notice: These orders require a tenant to move out within a shorter period of time that is allotted in the lease agreement. 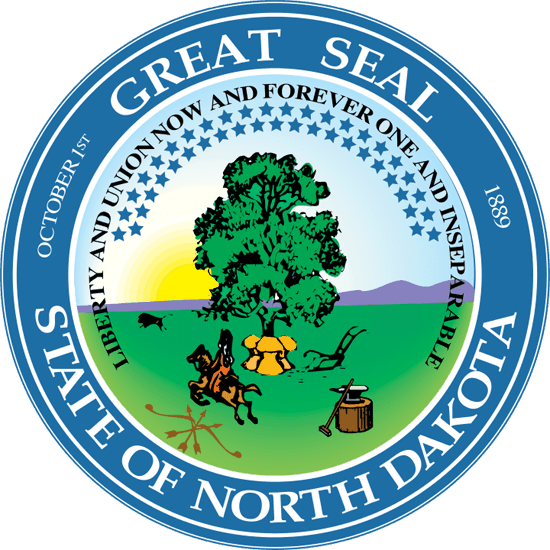 In North Dakota, a landlord can utilize an unconditional termination notice for any of the following: (1) a tenant’s failure to pay rent within three days of the due date (2) a tenant holding over after the lease has expired (3) a tenant holding over after a sale or any judicial process ending the tenancy (4) a tenant violating a material term of the lease, or (5) the tenant using the rental property in a manner contrary to the lease agreement. NDCC § 47-32-02. Eviction: A landlord can terminate with an unconditional quit notice if the tenant violates a material term of the lease agreement. In order to evict, a landlord must give the tenant three days’ advance warning of the landlord’s intention to start eviction proceedings. If the tenant fails to resolve the problem or voluntarily vacate the rental property, the landlord’s next step is to serve a Summons and Complaint. NDCC § 47-32-02. Victims of Domestic Violence: In North Dakota, the following rules apply to issues of domestic violence: (1) a landlord is entitled to proof of a tenant’s domestic violence status (2) a landlord cannot refuse to rent to a victim of domestic violence (3) a landlord cannot early terminate the lease of a victim of domestic violence (4) a landlord who violates the provisions providing early termination are subject to damages, attorney’s fees, costs, and disbursements (5) domestic violence victims have a right of early termination and (5) a landlord may not disclose information provided by a tenant that documents domestic violence. NDCC § 47-16-17.1. All states require a variety of forms to rent an apartment to a tenant and North Dakota is no exception. Check out American Apartment Owners Association’s North Dakota Landlord Forms now. Looking for landlord tenant laws outside of North Dakota? The American Apartment Owners Association offers helpful landlord tenant laws for all 50 states. Click on any of the states listed below and go directly to its landlord tenant law page. To visit the homepage of landlord tenant laws, click here. * For further information on North Dakota Tenant Screening and the services we provide, please visit us at AAOA – North Dakota Tenant Screening.